Grade: C6	Fine. Folded, single-sided. Prior to linen backing the poster had moderate handling/edge and fold wear. Expert restoration has addressed these flaws and the poster now appears very fine to near mint. 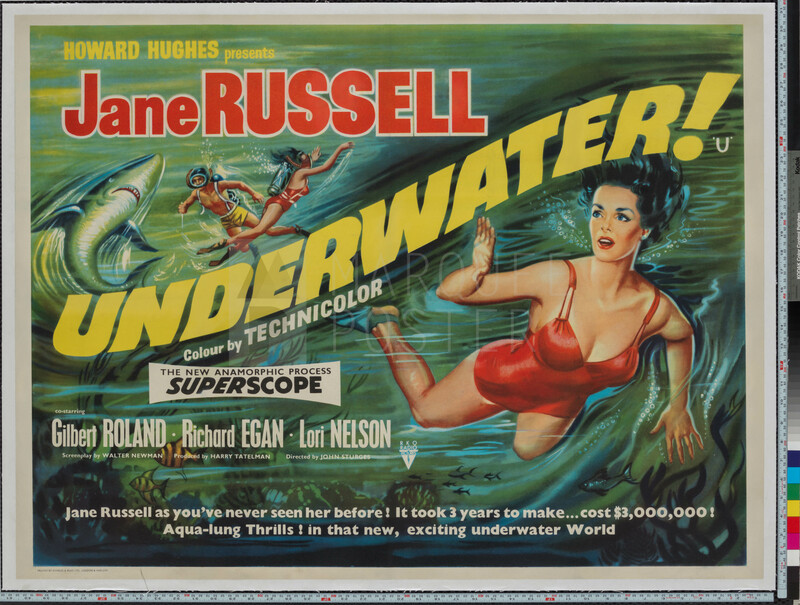 There are few diving-themed posters that can rival this amazing UK quad for Underwater! 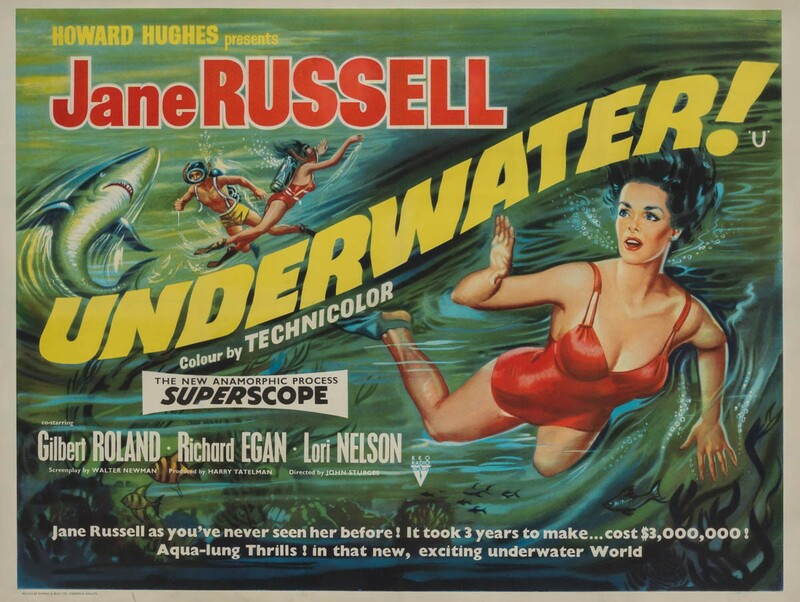 Made in 1955 at the height of Jane Russell’s popularity, Underwater! was a big-budget spectacle and technical marvel that introduced SCUBA diving to cinema-goers around the world. From treasure hunting to sharks to revealing swimsuits, it’s not hard to understand why Underwater! was one of the highest grossing films of the year and that it has influenced nearly every film set “underwater” since! Don’t miss this rare and beautiful poster!